About two years ago I decided to start wearing eye cream on a regular basis. Some may say it’s too early, other that it’s too late but for me it was the perfect time and I’m glad to announce that applying eye cream is now an inseparable part of my skincare regime. Wearing eye cream protects the sensitive eye area from the appearance of wrinkles and also hydrates it so that the skin looks more youthful and fresh. Being 23, for me eye cream is an eye cream and sadly I can’t comment on their anti-age properties. However, I can say weather it moisturizes well, which for my age is the most important part and what I look for in a cream. 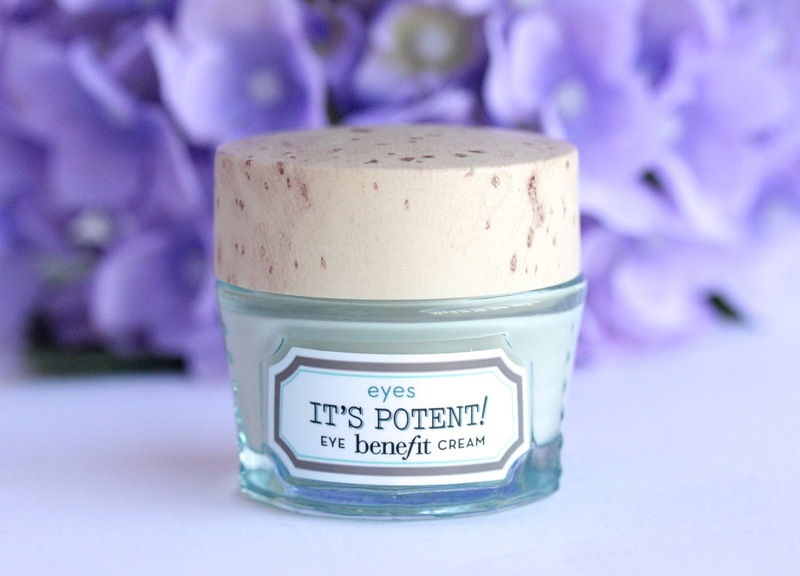 I’ve tried a bunch of eye creams during the past two years and the one that really stands out is this Benefit It’s Potent Eye Cream ($34 / £24.50). It was just recently when I started using this product but it has quickly proved itself as a brilliant one! 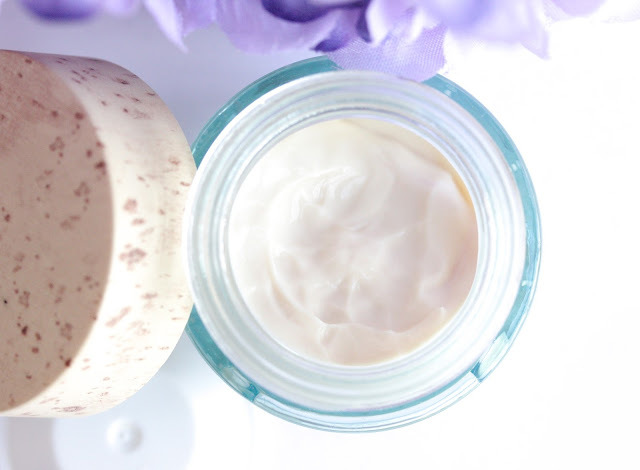 The cream has a thick consistency and it’s quite rich but at the same time it feels light on the skin, which is the best of both worlds really. It’s Potent hydrates and moisturizes my under eye area SO well and my skin feels incredibly soft and smooth. Also, it contains a peptide complex known to restore the elasticity and firmness of the skin and I am glad to say that I actually have noticed an improvement in that department. The eye cream has build-in hydrating botanical extracts and loquat extract, which help protect the skin from radical damage. I feel like the reason It’s Potent has become one of Benefit’s best selling products is the claim that it fades dark circles and helps smooth fine lines. Now, I am not a massive dark circle sufferer, so I can’t comment on that much but I do think that the eye cream brightens up my eye area a bit. Honestly, it’s not a huge difference but it’s still noticeable, which is always a bonus in my books. I also wanted to mention that this product absorbs really quickly and looks perfect under makeup; the area looks hydrated and the concealer doesn’t cake or flake. "In a nutshell, I’d say that if you’re looking for a good, moisturizing eye cream, which will also help your under eye circles look a bit brighter, then It’s Potent is the one to go for. ", well, this pretty much sums up, what I need. Ohh I actually adore Benefit skincare, I used to be very skeptical about it but I've tried some products and I'm really impressed! :) The packaging is beautiful, love it so much and it has that luxurious feel to it which is lovely! Hope you get the cream hun, it really is wonderful! Oh these looks lovely! I want to start using eye cream and plus being a student has downsides with under eye circle. So this sounds perfect for me! must definitely give it a try. I think I have this eye cream hiding somewhere in my stash. I say it's never too early to use an eye cream. I've been using them since I was a teenager, granted they weren't super thick or anti-aging, because for me also, an eye cream is an eye cream. Oh I've never thought about eye creams but this sounds lovely. This sounds like exactly what I've been looking for... especially if it looks good under makeup, which is the main problem I've been having. it looks so nice !!! I love Benefit, and I used their moisturizer for a while and loved it. This sounds lovely. I have tried this eye cream! I still have my small sample size but to be honest, I don't really know what to think! I'm absolutely brand new to eye creams and it's still difficult for me to tell whether it's done much or not. It does seem to hydrate though! 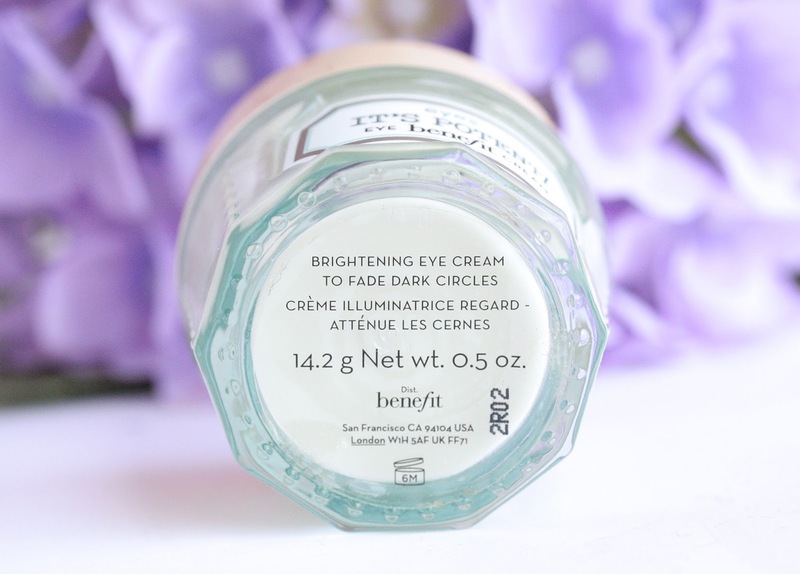 I've been looking for a decent eye cream for ages because although I tried quite a few, I never found one that had that wow-effect I'm always looking for. To be honest, I never dreamed of checking out the skin care range of a cosmetic brand, perhaps that was a mistake. I'll certainly have a look! I love Benefit products...not only their makeup but their skincare line including this product. Great review.